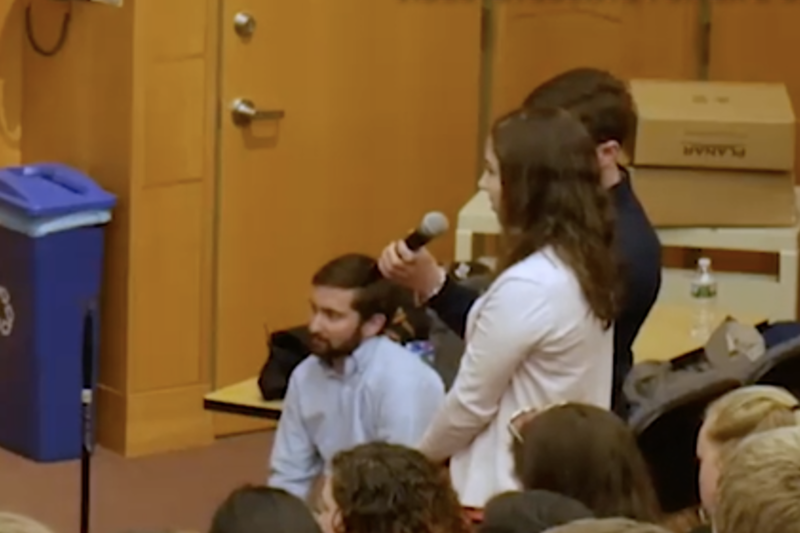 The student made the stunning statement after Kristan Hawkins, president of Students for Life of America, asked her during a pro-life event to explain the difference between offering care to a baby who survived a failed abortion and giving treatment to an infant dying in an immigration center along the southern border. Hawkins’ idealogical opponent stated unequivocally medical care should absolutely be administered in the latter situation, but not in the former. “Do you believe that a baby who’s born alive during an abortion at Planned Parenthood should get care?” Hawkins followed up. The Students for Life of America leader asked once again, giving the student the chance to think through her answer. She stuck with her initial response. Hawkins asked the woman to explain her answer. With tears in her eyes, the pro-abortion student stood her ground, but failed to explain how an infant born alive after a botched abortion is not a baby.